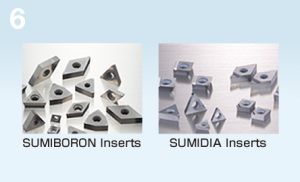 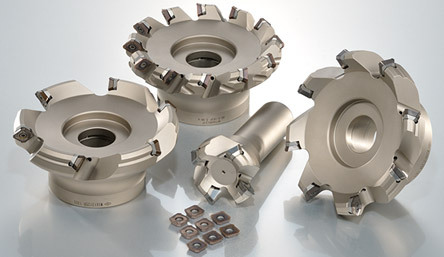 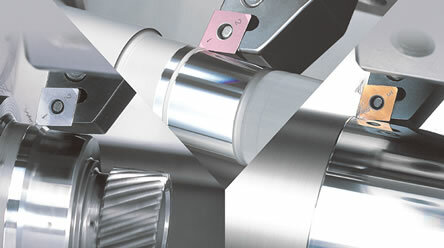 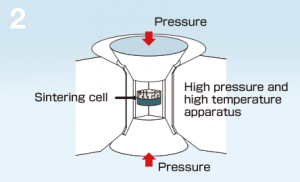 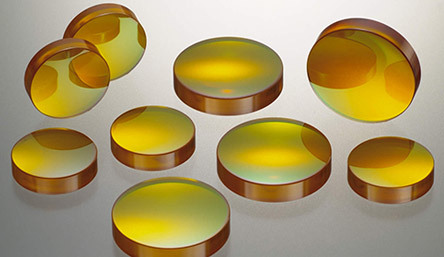 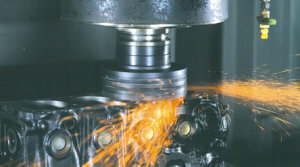 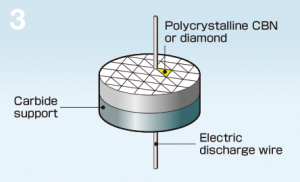 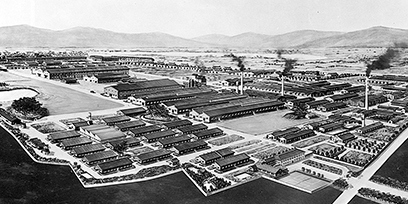 Technology (CBN/PCD) » Sumitomo Electric Carbide, Inc.Sumitomo Electric Carbide, Inc.
“SUMIBORON” is mainly CBN (Cubic Boron Nitride), a primary component to which special ceramics binder is added and is sintered under extreme pressure and temperature. 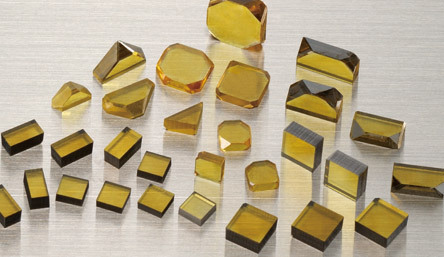 On the other hand, “SUMIDIA” is a high density sintered diamond compact of ultra-fine diamond particles. 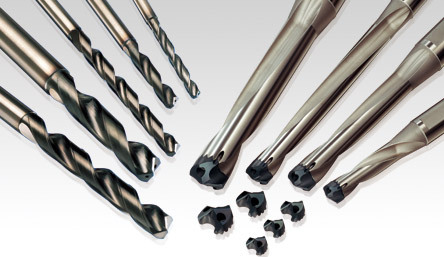 Both of these materials have higher hardness and strength, along with excellent heat resistance, as compared to conventional tool materials. 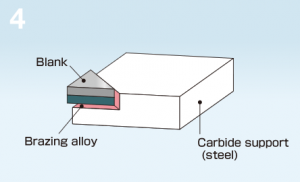 A special binder material is added to the CBN or diamond raw material powder, and the mixture is filled into a capsule with a carbide support. 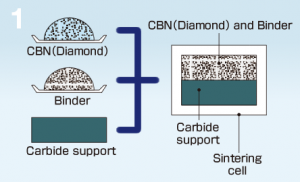 Using an extreme high pressure and high temperature apparatus, the CBN (diamond) powder, along with its binder material, is sintered at conditions of 5GPa or more, at 1,400 to 1,500℃. 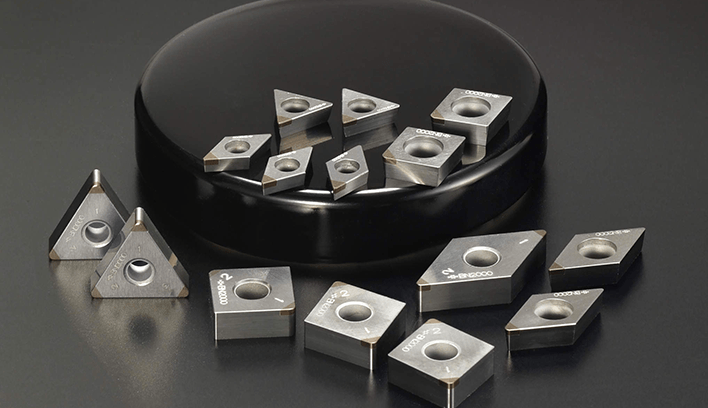 The sintered compact blank is cut into desired shapes for specific applications by electric discharge wire-cut. 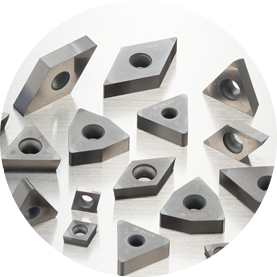 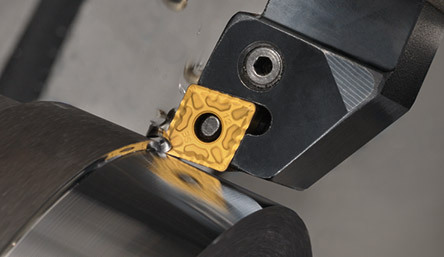 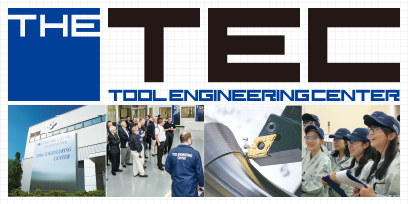 The cut sintered compact blank is brazed onto cemented carbide or steel etc. 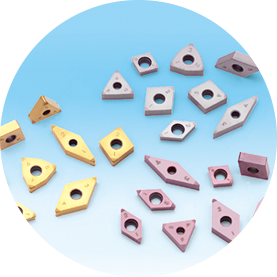 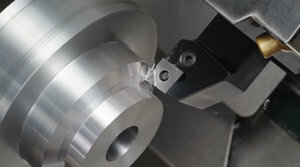 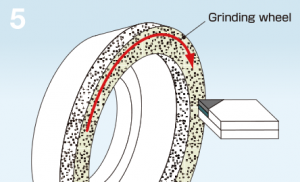 The product with the brazed sintered compact blank goes through finish grinding. 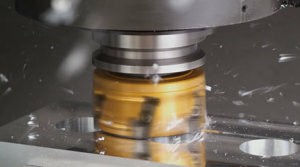 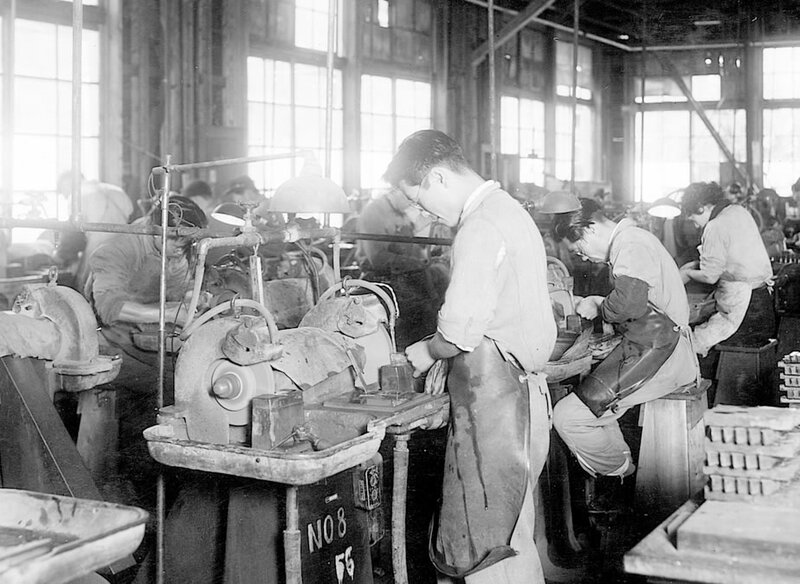 The completed product is put through final inspection.